FORMUFIT 1 in. 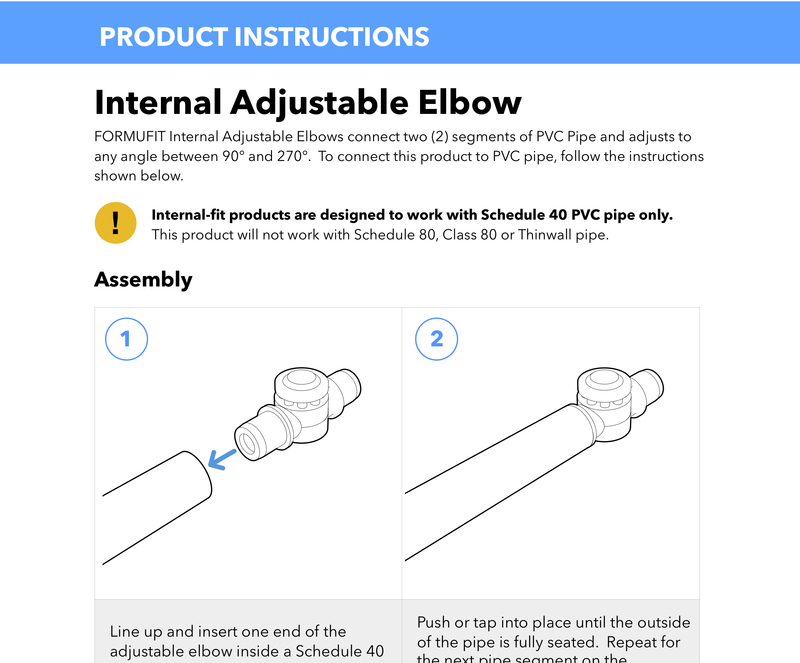 Internal Adjustable Elbows create a flush, internal connection between two pieces of Schedule 40 1" PVC pipe that adjusts to any angle between 90° and 270°. These joints have an extremely strong internal mechanism that holds without moving, even with substantial weight applied. With an easy push-button operation, they can be adjusted to accommodate angles or create collapsible structures. 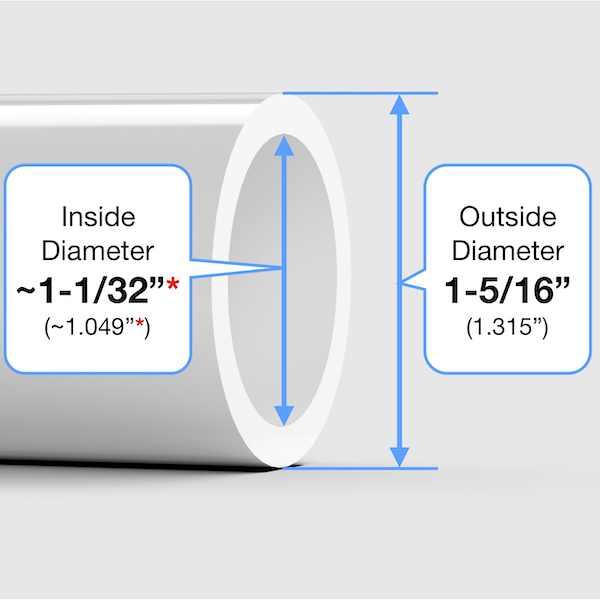 Fits internally inside of 1" Size Schedule 40 PVC pipe, which has an outside diameter of 1-5/16" (1.315"). Adjusts between 90° and 270° in 22.5° increments. Just press the button and adjust the fitting angle. Easily inserts inside of Schedule 40 PVC pipe, with tapered ends. Ideal for fold-away and storage of PVC projects. 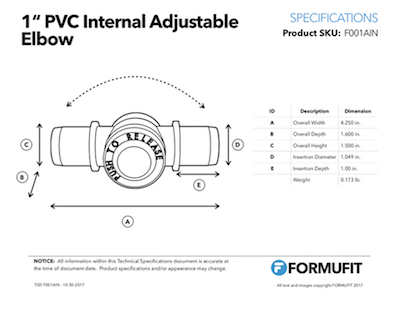 This product will fit 1” Size Schedule 40 PVC pipe only, which has an outside diameter of 1.315” (1-5/16”) and an inside diameter of approximately 1.049" (1-1/32“) *. See our PVC 101 section for more info.